This quick Easter craft, turns tiny toes into the perfect table toppers fo decorations. 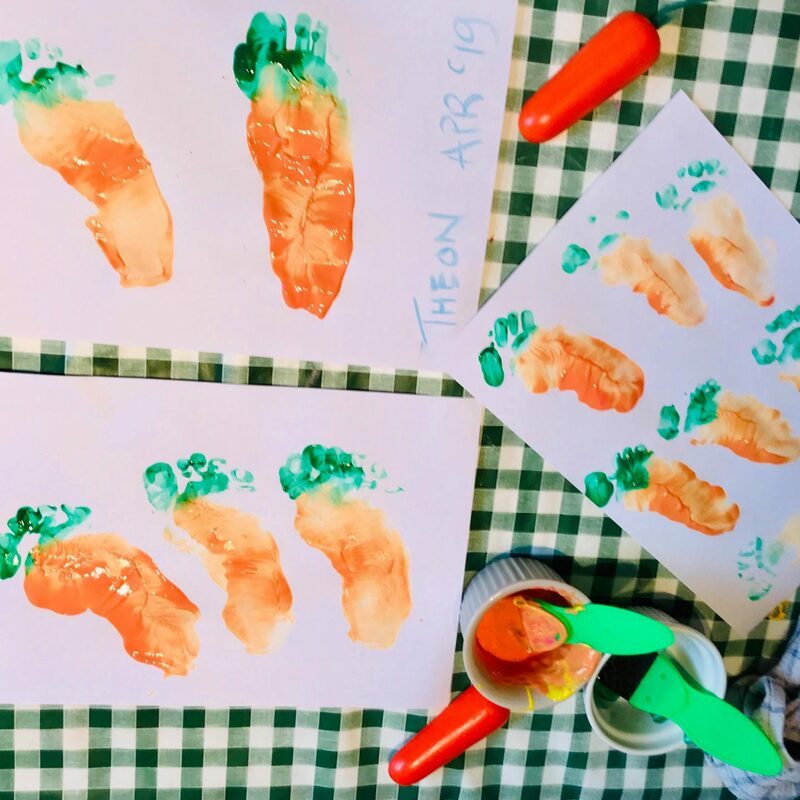 With just a dollop of orange and a splash of green these carrot prints double up as the perfect developmental marker. Or use a hole punch to add ribbon and you’ve gift tags to delight every bouncing bunny. This year we’ve also used them as egg tokens for our Easter garden hunt! 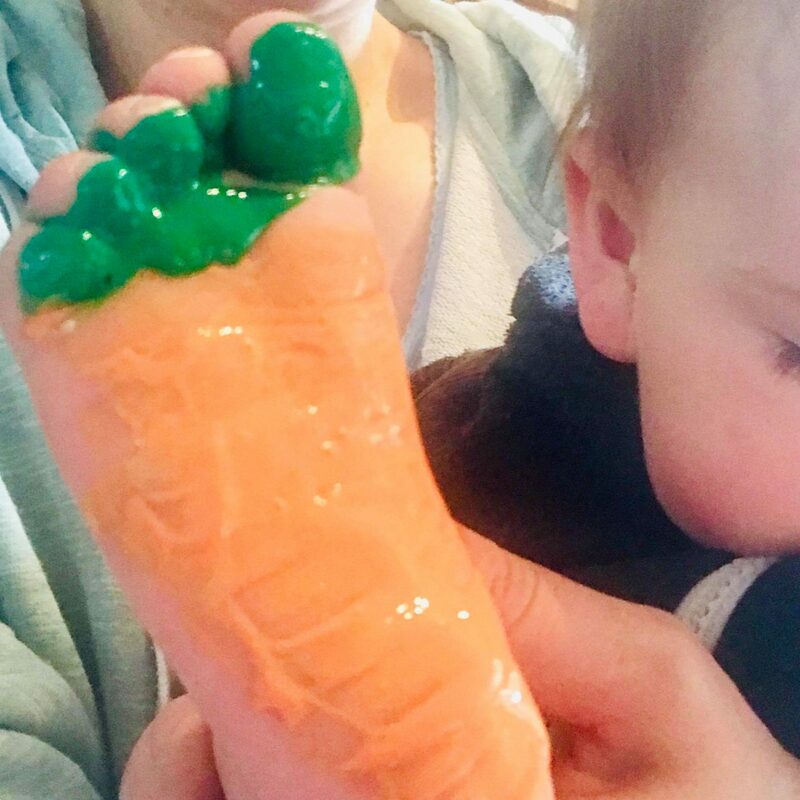 Paint the main section of your little ones feet orange, leaving the toes to paint green (for your carrot tops). Then press the feet down on to a clean sheet of paper. Wait to dry and then cut out. You’ll easily be able to create a good amount of prints to decorate your Easter Sunday Dinner table. So, make sure to put one to the side if this is baby’s first Easter! •Have baby wipes and a tea towel ready; wriggly babies make for messy work! •Strip babies down to their nappies to avoid getting paint on to their clothes. •Only use water based paints- NO acrylics!!!! •Thickly layer on the paint so you can get multiple prints in one go. •Worried about making a mistake? Practice on a plate first, if you get the perfect print then just lay the paper over the top of the plate and gently press down to transfer the painted print from the plate to the paper. •Work the activity into your day and just before bath time. But most of all enjoy! 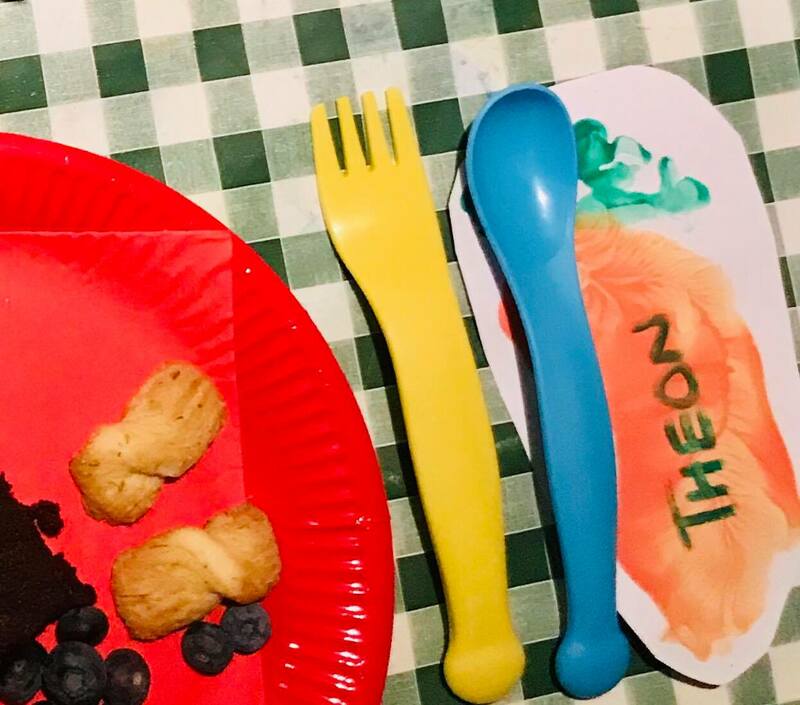 Don’t worry about getting overly perfect prints, this is not just messy play it’s sensory play. Let them experience the moment and enjoy the fun of feeling free to explore and create together.